Translated from Conan of Cimmeria (Lancer). 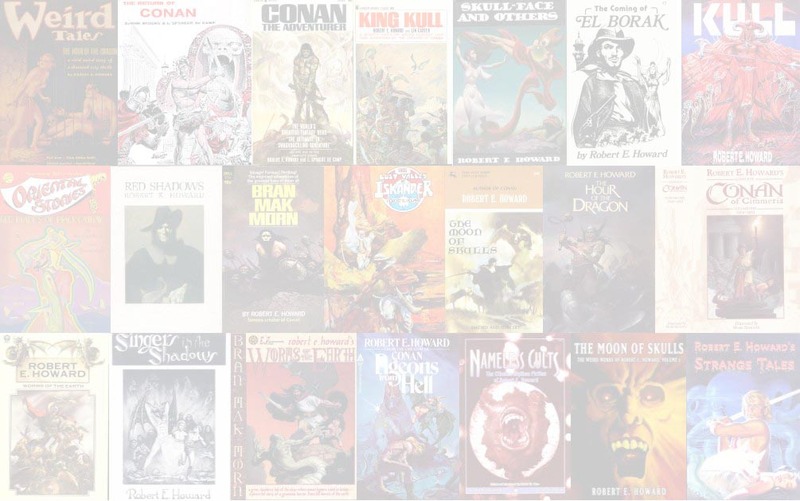 "A Torre do Elefante" / "The Tower of the Elephant"
"O Deus na Tigela" / "The God in the Bowl"
"Vingança" / "Rogues in the House"
"A Fênix na Espada" / "The Phoenix in the Sword"
Translated from Conan the Usurper (Lancer). "Os Anais da História Hiboriana" / "Hyborian Age"
Translated from L. Sprague de Camp’s "Introduction" in the Conan the Usurper (Lancer). 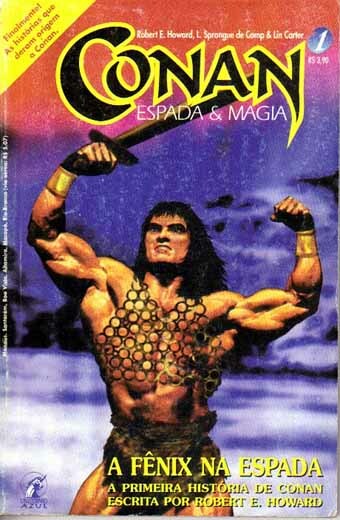 "A Coisa Dentro da Cripta" / "The Thing in the Crypt"
In the mid-nineties, Unicórnio Azul publishing house launched a series of books reprinting material from the Lancer Conan series. Only five books were published. Unicornio Azul is an imprint of Editora Mercuryo Ltda.